Did you know that this month is National Pancake Month? In honor of that, and the fact that it is February, I decided to do a "hearty" breakfast for lunch bento today. See what I did there? Cheesy, I know but I haven't had my coffee yet today so it was all I could think of. This is a fairly easy bento lunch to do. In fact you probably could think of some more creative things than I did. Let me know below if you have a fun idea that you would use for this lunch. Enter to Win! For the month of February, FlapJacked is celebrating National Pancake Month by giving away FREE PANCAKES! You will simply share a photo of your favorite way to enjoy pancakes for the chance to win. 3 Prizes awarded weekly! For full details, click here! 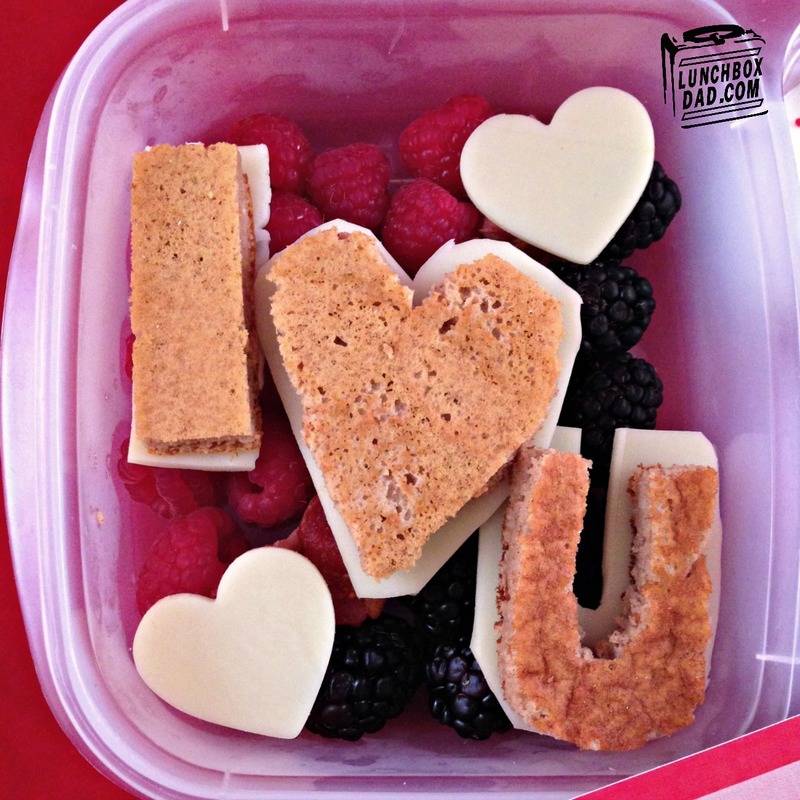 This breakfast for lunch is made in an Easy Lunch Boxes container and also includes a fun Lunchbox Love note. 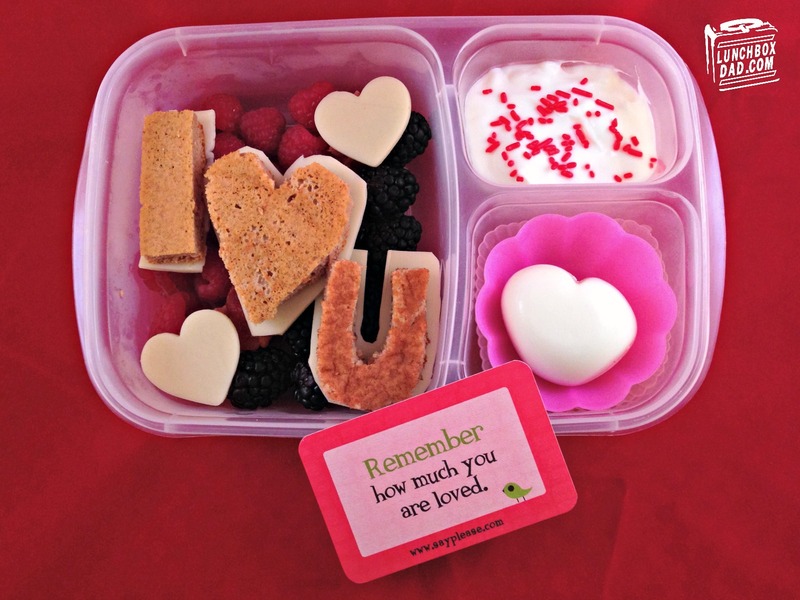 You can also get Valentines Lunchbox Love notes for your child's class! 1. Prepare FlapJacked pancakes according to package instructions. Use a sharp knife to cut out the letters "I" and "U." Also cut out a heart shape. Use the pancakes to cut out the same shapes (only slightly larger) from white cheese. Also cut out two small hearts from the same slices of cheese. 2. In main dish, arrange berries as shown. In the middle lay the strips of bacon. I only used about half a piece total. On top of the berries arrange your cheese letters. Place the FlapJacked pancake shapes on top as shown. Stick cheese hearts where desired. 3. 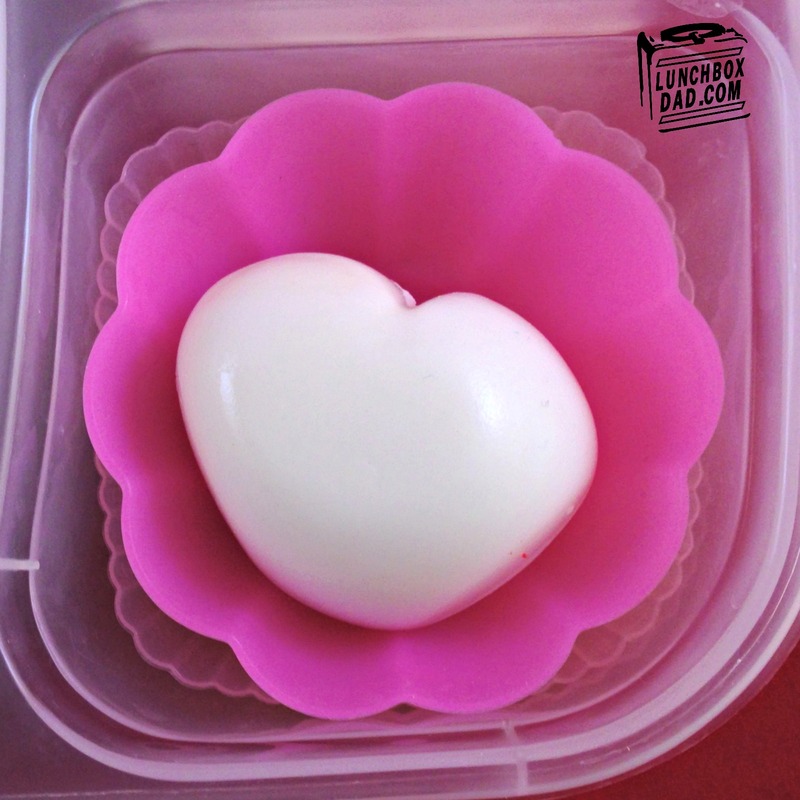 Shape hardboiled egg in heart egg mold. These can be found online if you don't have them locally. Be sure to peel and heat up the egg in a bowl of hot water before putting it in the egg mold. 4. Place heart shaped egg in your side dish. I put it in reusable silicone cups to dress it up a little and to keep it in place. Spoon yogurt into second side dish and top that with a few red or pink sprinkles if desired. 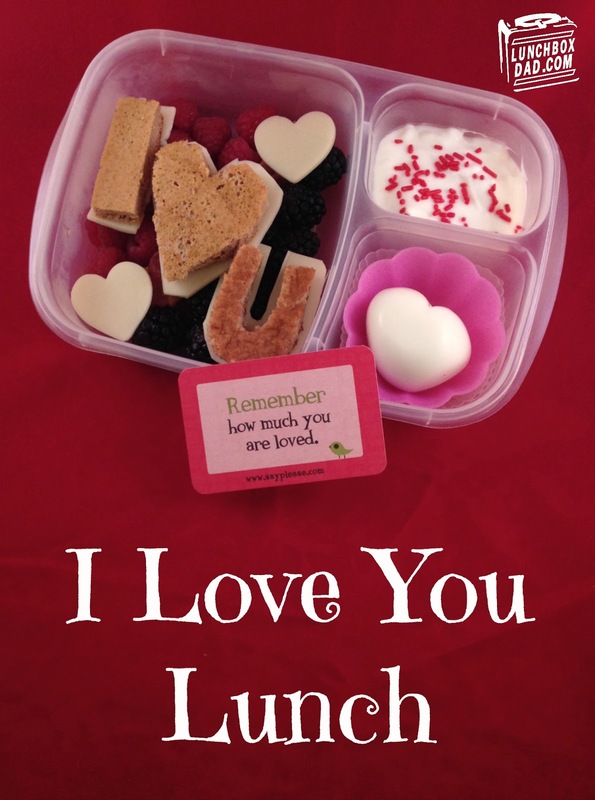 You can finish off the lunch with a Lunchbox Love note or even write a note to your child yourself! Have fun with National Pancake Month and remember to enter the FlapJacked contest. If you are having pancakes you might as well snap a few pics and enter. You might just walk away with a prize. Have a great week and remember that I am on Facebook, Twitter, Pinterest, Instagram, and more! Simply adorable! Who wouldn't feel loved after opening that lunch? Every one of these cards I wrote for my children. Isn't it amazing how much we love them! I love your cards, they go so great in lunches and also just because!